← We got RAIN! And I saved it. I am experimenting. I got a new Nikon D7100 last summer and am still learning how to use it. I have been shooing in JPEG format until now. But I am getting tired of blown out highlights and would like to now experiment with getting a wider tone range with RAW files. This will be my first attempt at posting photos that I took in RAW format. Ah, but it is never as easy as it sounds. Not only did I have to change two separate settings on my camera (Image Quality and Role for Card #2), I had to upgrade my operating system on my iMac to OS X Mavericks, and then upgrade my photo processing program to Aperture 3.5. VBS. Whatta nuisance. Then I had to figure out the new method of loading photos from the disc to hard drive. Looks like the same as the old method, except it took FOREVER to load a mere 81 photos. This has taken me all week as I stumbled through one process after another. I finally have processed a set of RAW images taken in my garden earlier this week. I really can see the superior quality compared to JPEG. No more blown out highlights! Now the question is: Do I have to convert them back to JPEG to post them on WordPress, or will the program do that automatically? Here goes nothing. Ah ha, the WordPress program seems to automatically convert the RAW files to JPEG. Good! 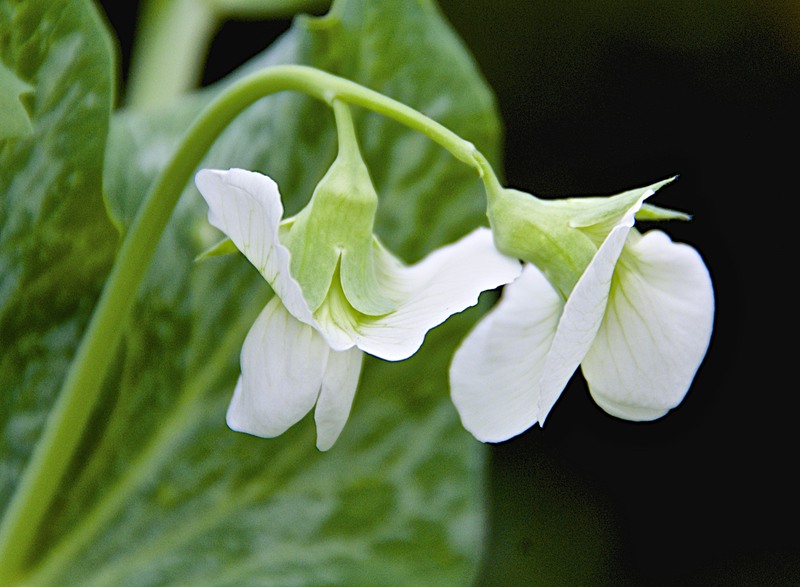 My Super Sugarpod peas (snow peas) are chin height already and just now starting to bloom. I probably have too much chicken manure in my homemade compost, i.e., too much nitrogen. Oh well, it makes for lush growth. The nasturtiums outside the beds get runoff from the drip irrigation and are at crotch height, but with very few flowers. 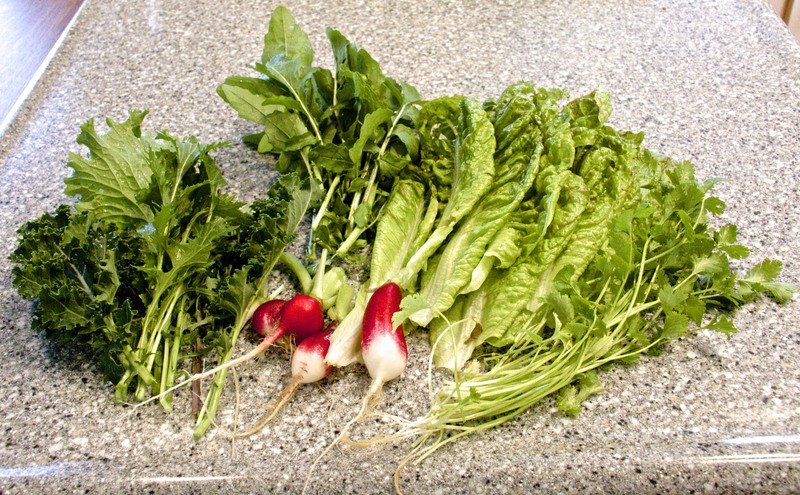 Salad making from my garden with the first harvest of radishes for the spring. There is also baby kale, Freckles lettuce, cilantro, and arugula. 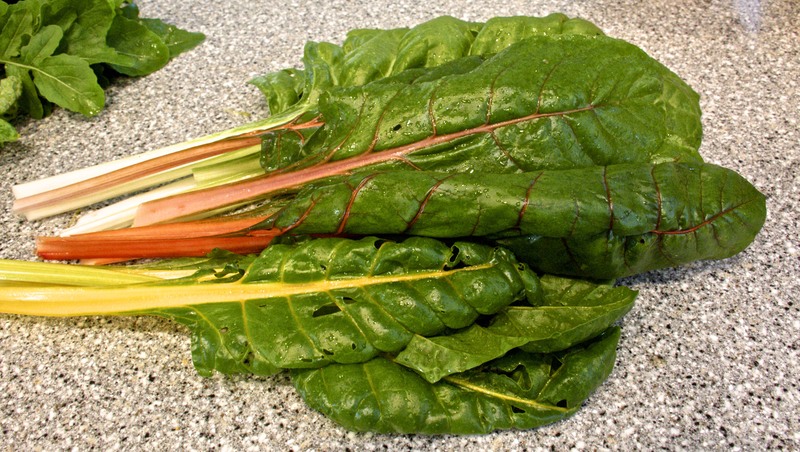 The chard is also growing like gangbusters. 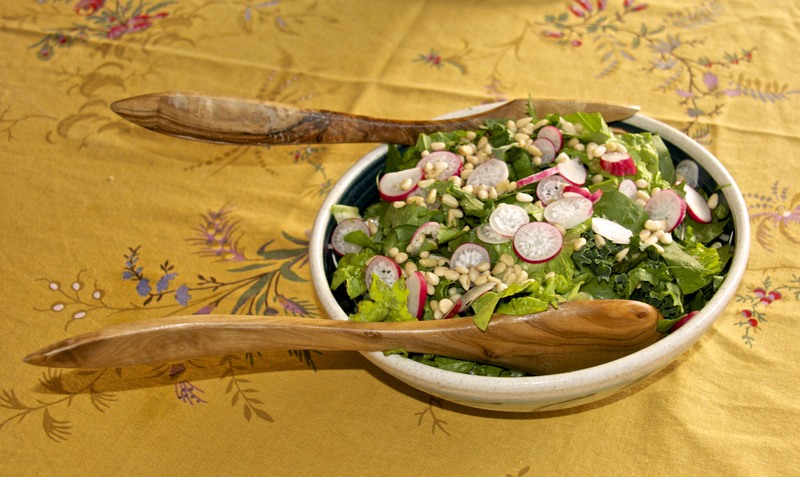 The lettuce etc went into a salad with pine nuts. I sautéed the chard with garlic in olive oil, added a splash of basalmic vinegar and some Parmesan cheese, and topped each serving with a sliced boiled egg. 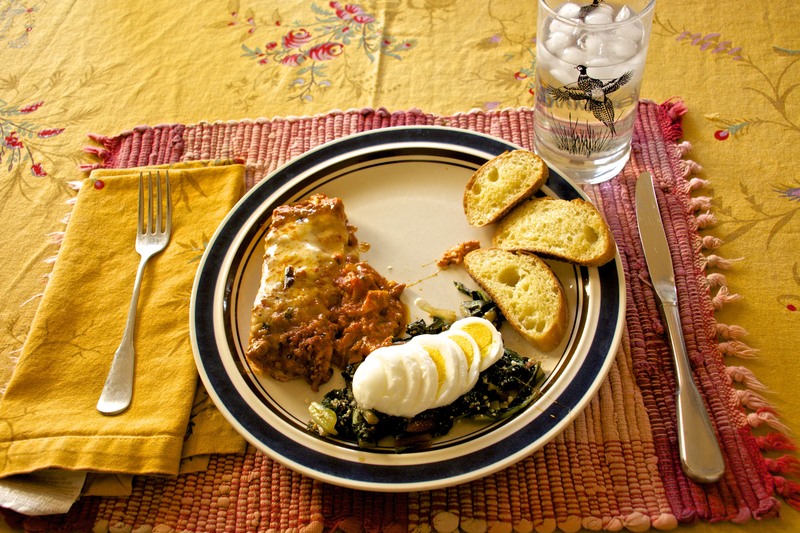 Garlic toast and lasagna completed the lunch for company. That is what I should have posted for Harvest Monday earlier this week. But I was too busy fussing with camera-computer technical stuff. Now for actual flowers! 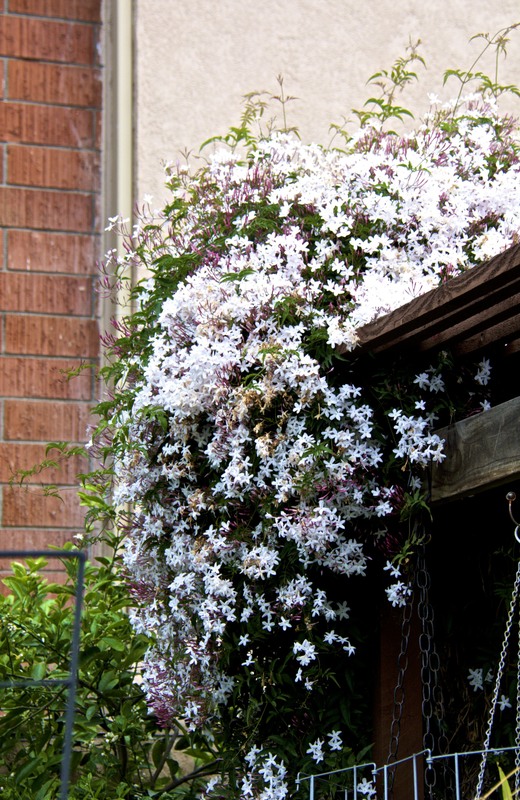 Pink jasmine is perfuming the air with honeyed sweetness. 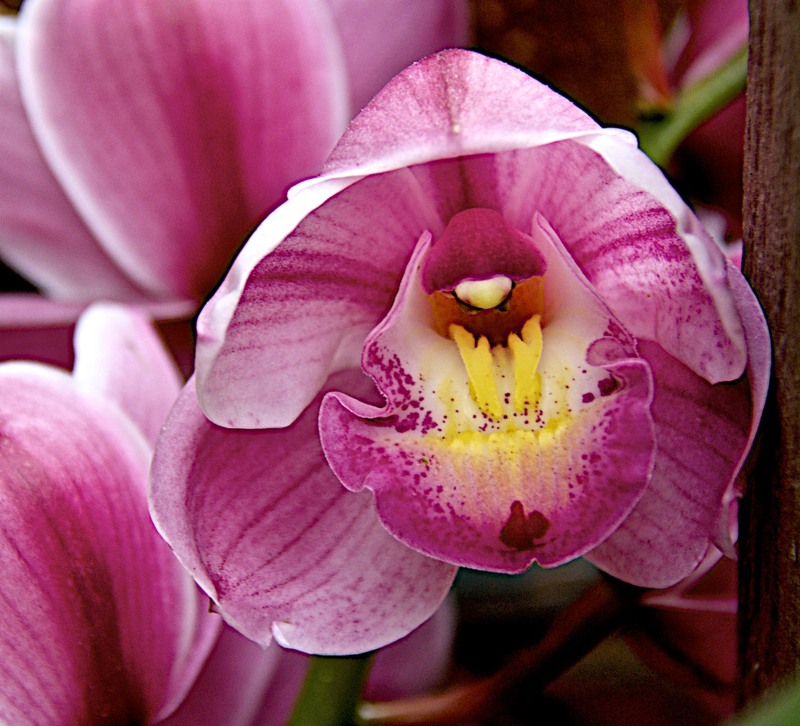 Pink cymbidium orchids bloom on the back deck. They have been blooming for weeks. The white ones aren’t open yet, so I get about 3-4 months of orchid bloom each spring. 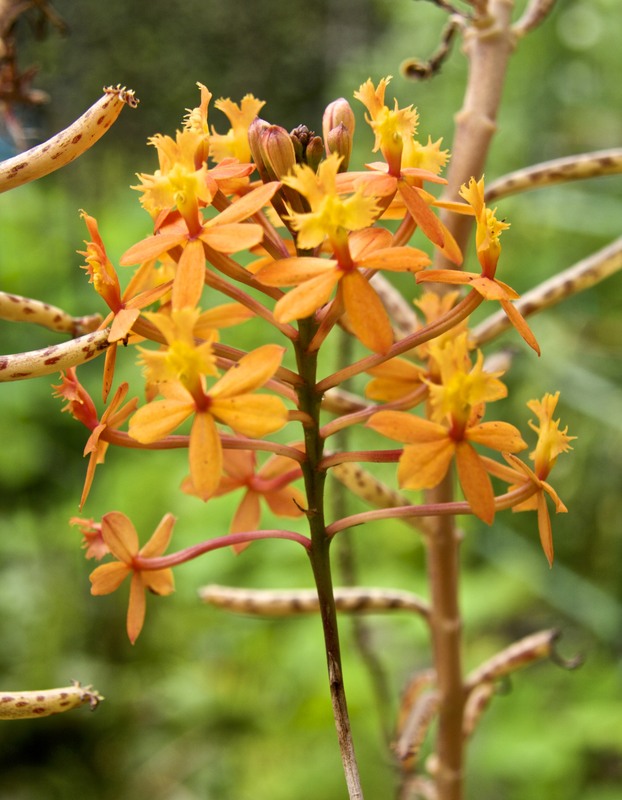 This is another type of orchid. 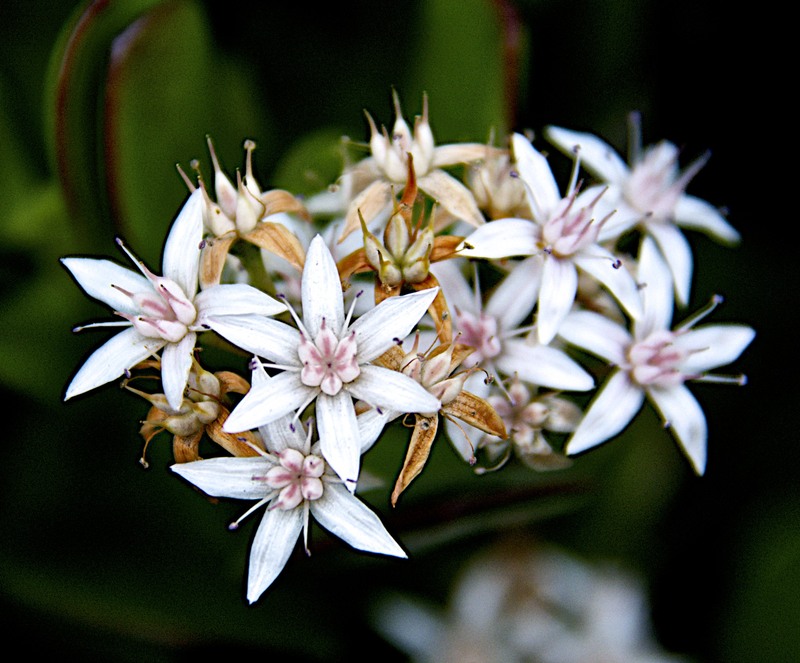 These little beauties bloom year round. Tis the season for succulent blooms. 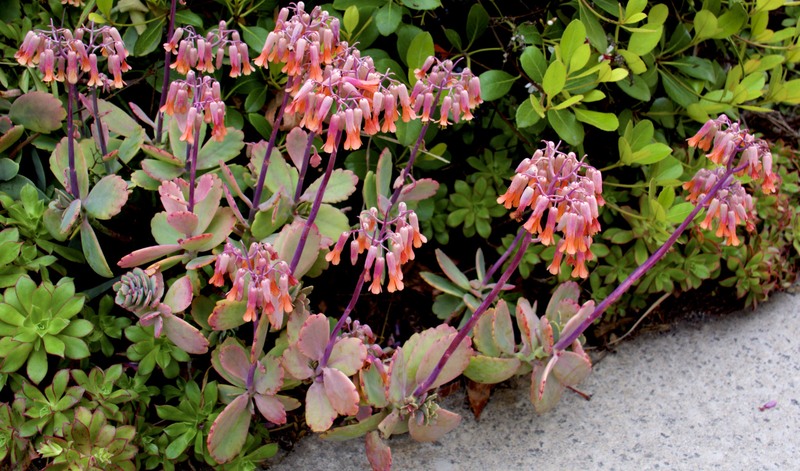 These are Mother of Thousands, which have spread everywhere. 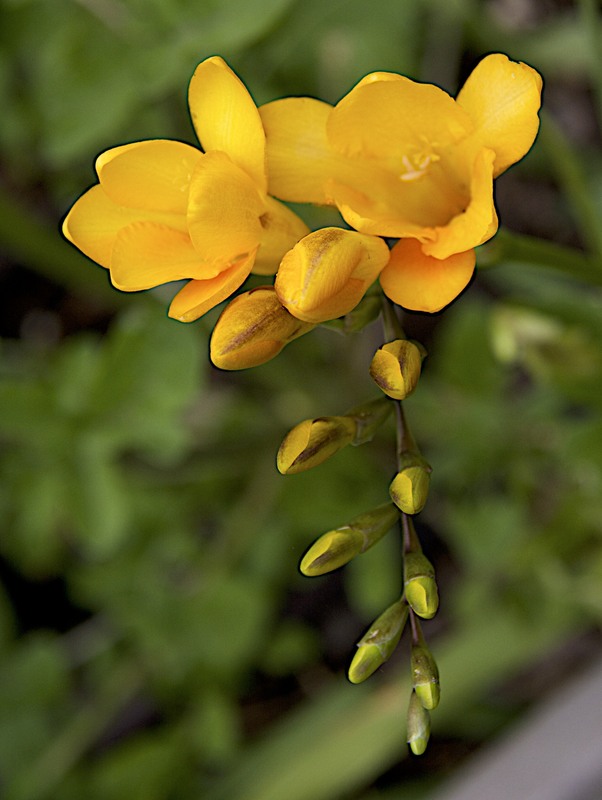 Freesias are in full bloom, front and back, adding their own delightful aroma to the spring garden. Most of my fressias are yellow. 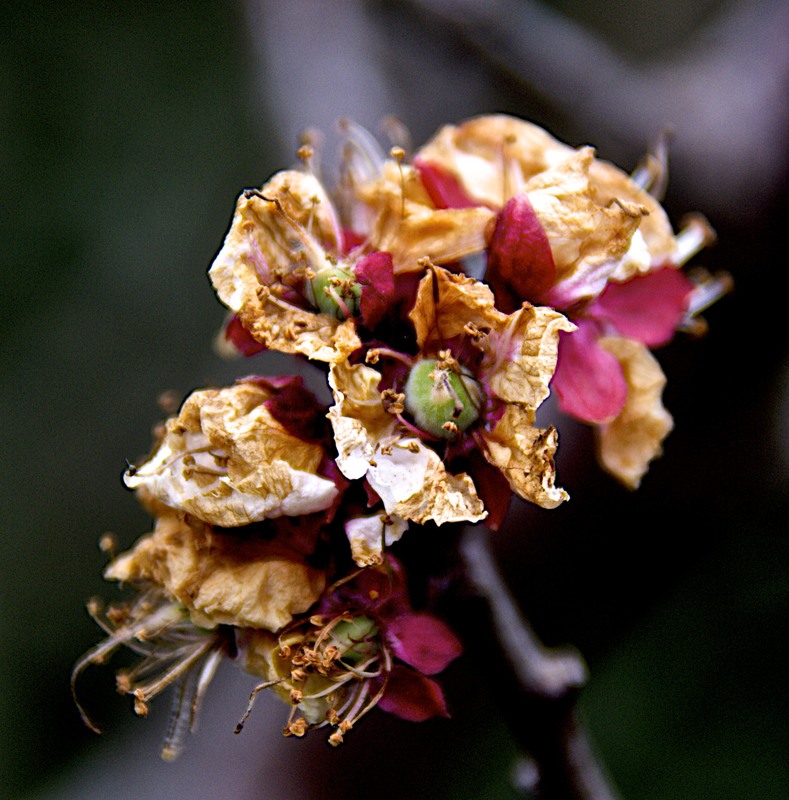 The flowers are fading on our apricot tree, but little tiny green fruits are forming below the dying petals. I moved my ultra dwarf Garden Gold peach tree into a sunnier location. This tiny tree grows in a pot. I am hoping to get actual peaches from it this year. These are flowers on the August Pride peach tree in front. 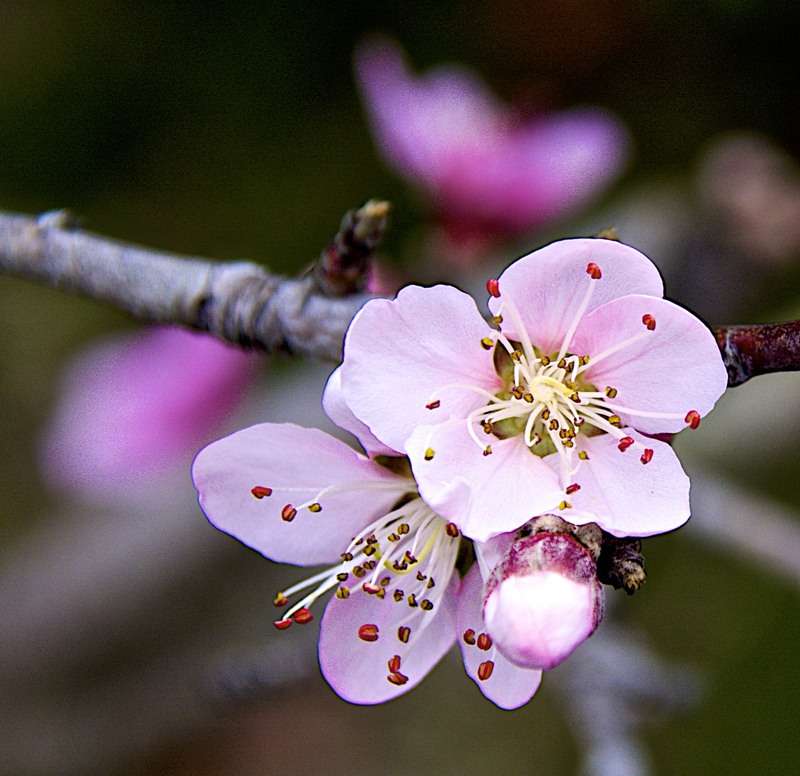 The Florida Prince has already finished blooming and is covered in little peaches. 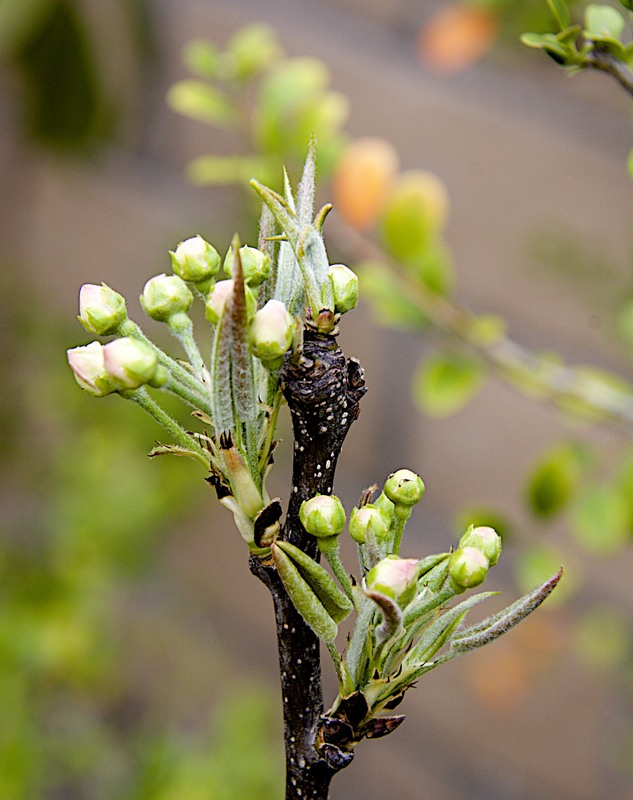 The Babcock Improved peach hasn’t bloomed yet, nor has the plum tree nor the Panamint or Snow Queen nectarines. 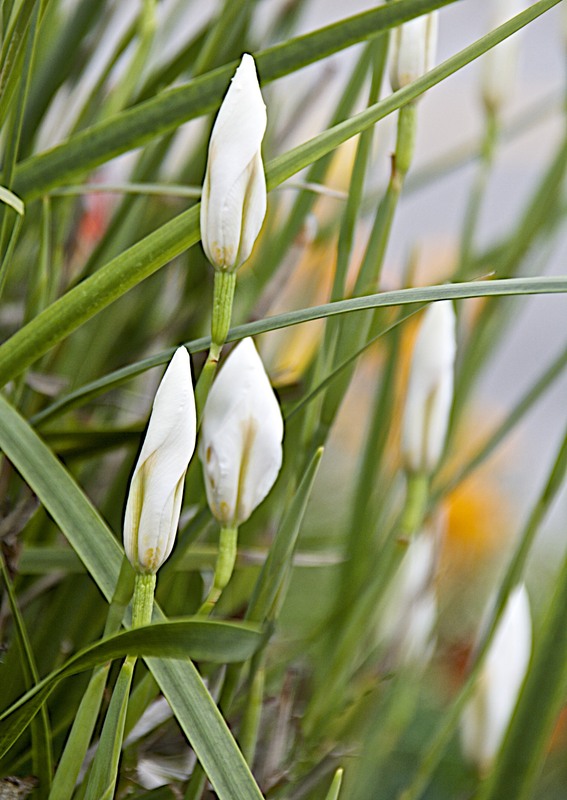 The single paperwhite narcissus have finished blooming already, and these double paperwhites are almost done. 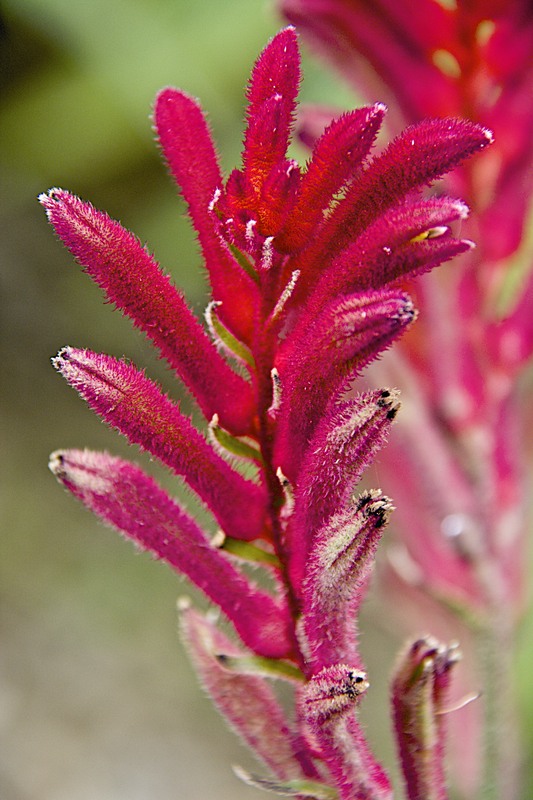 I am trying out this new succulent, Kangaroo paws, in my flower garden. At least I think it is a succulent. It is drought tolerant at least. 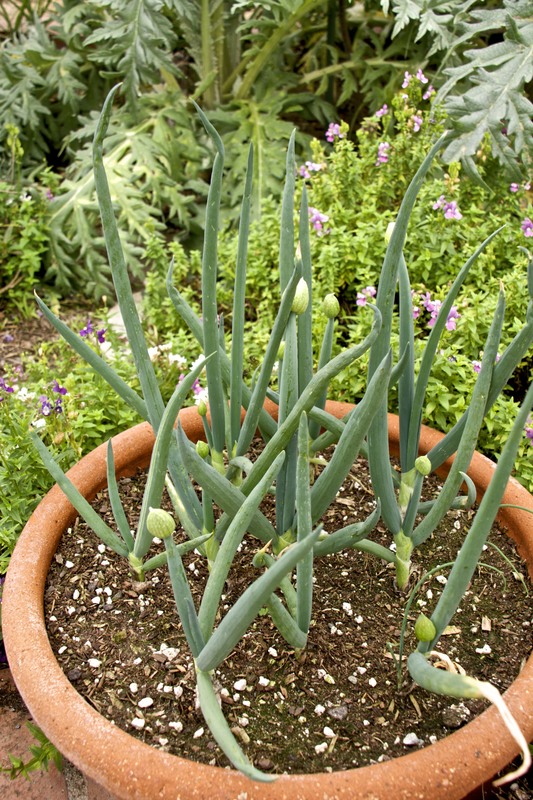 I grow green onions in pots. They are about to bloom. I save the seeds to grow more next year. I haven’t had to buy green onions at the store or farmer’s market in about five years now, as I grow them year round. 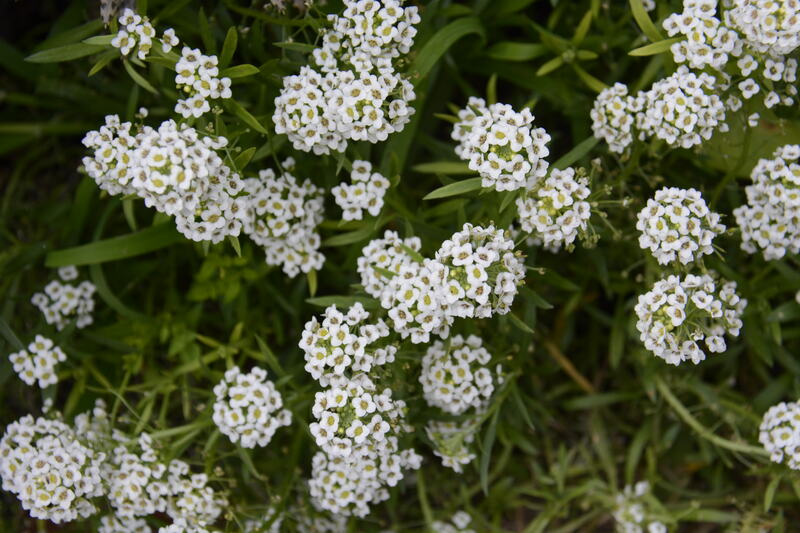 The background is white lantana, part of my butterfly garden. This succulent is blooming. No idea what it is. Another blooming succulent. The flowers are similar to Mother of Thousands, but that isn’t what this is. 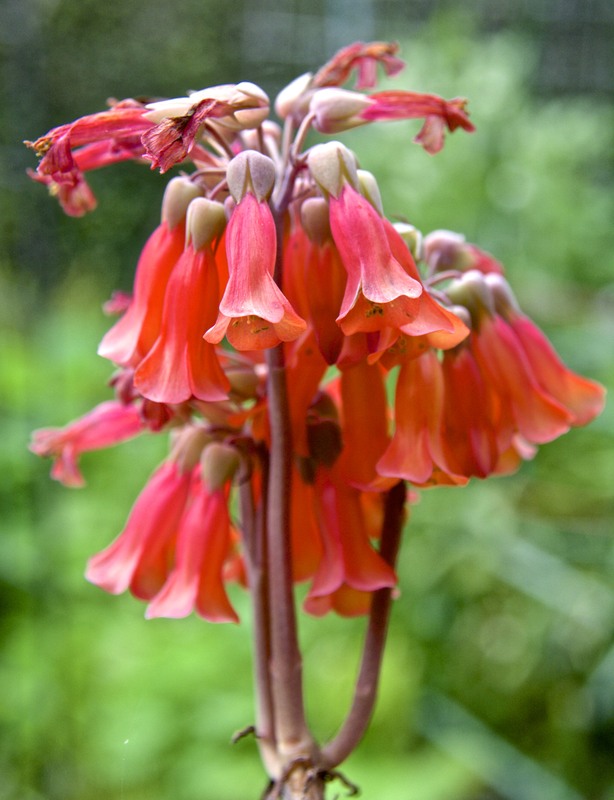 It looks like a Kalanchoe (sp?) 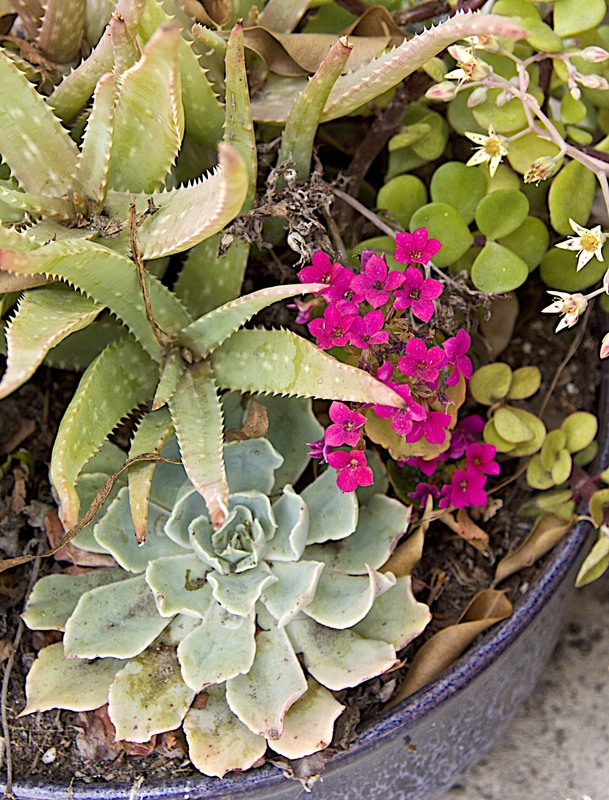 is blooming in this pot of succulents. These flower buds are the ones that I am the most excited about. They are on my new grafted Asian Pear that has four different varieties on it. This is a newly planted tree, so I’m happy to see it leaf out and bloom. This winter was most likely too warm and mild for my older Asian pears to set fruit as they need a certain number of hours of chilling. This new tree spent most of the winter in a nursery somewhere colder than our yard. This little Valencia orange is doing fine in a pot in front. It looks like we will get some fruit from it this year. 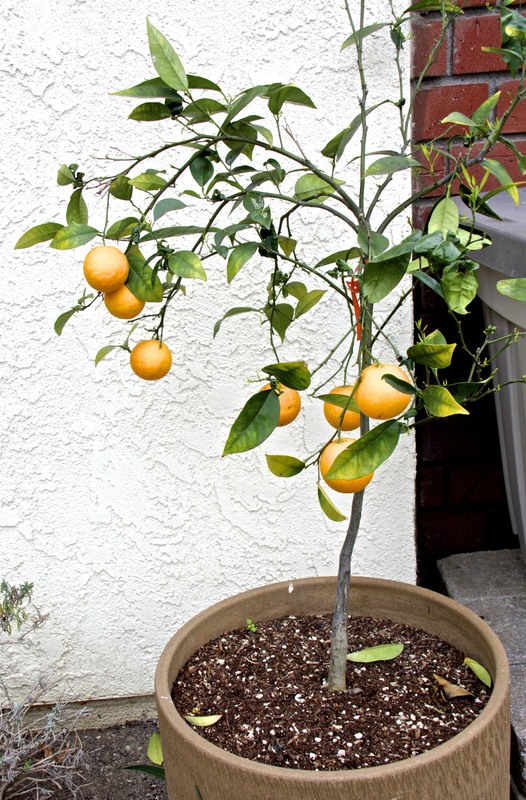 The navel orange, lime, Meyer lemon and Eureka lemon trees are doing fine with fruit ready to harvest. It is also avocado harvest season. 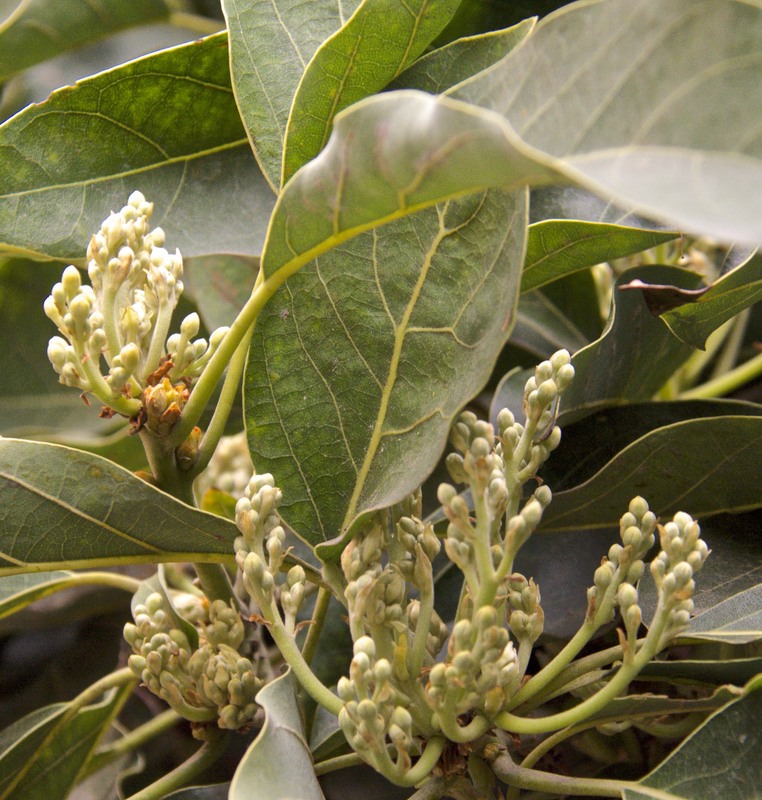 These are the flower bud clusters for next year’s avocado crop. Let’s hope I get some fertilization. Come on, bees! 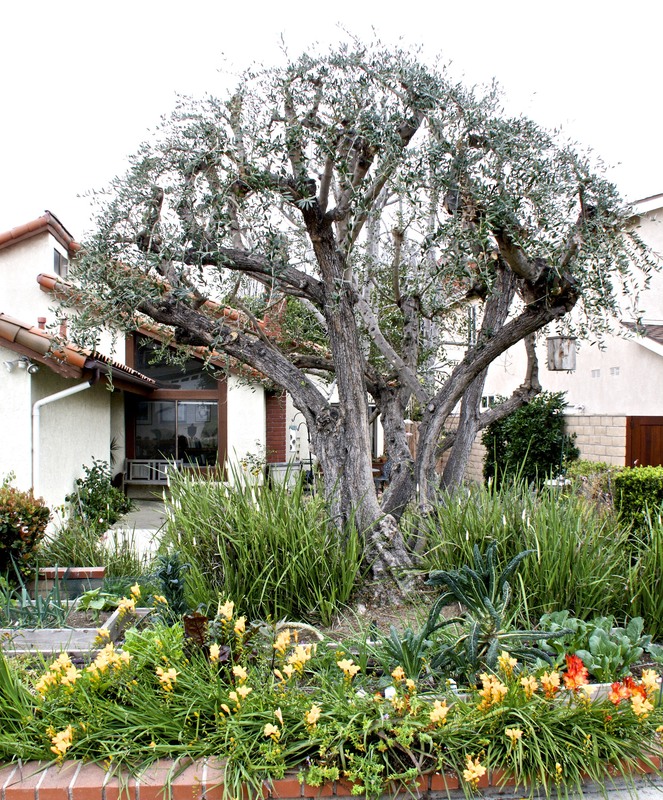 We just had the olive tree pruned to give my garden more sunlight. Check out that nice row of blooming yellow freesias in front. 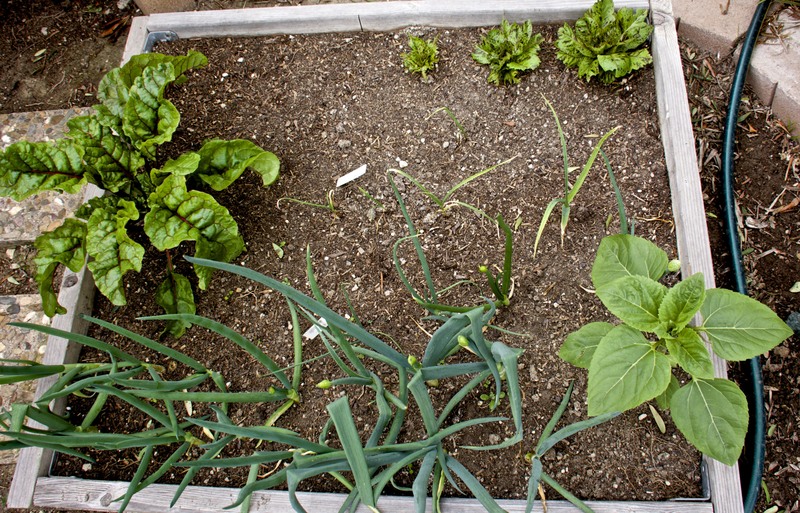 This little bed in front has green onions, some garlic, a volunteer sunflower, a chard, and some Freckles lettuce that has been decimated by birds. 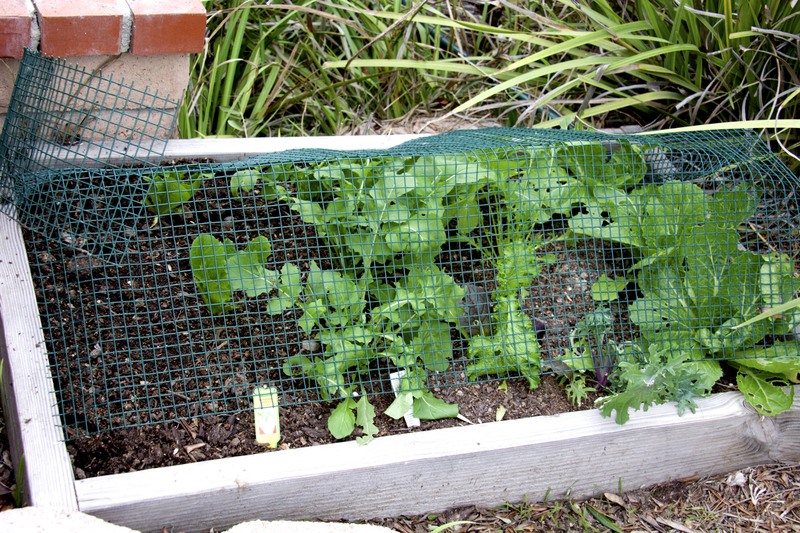 I made a cage of hardware cloth to fit over this bed of mesclun, lettuce and Napa cabbage, but I built it too late to save the lettuce. 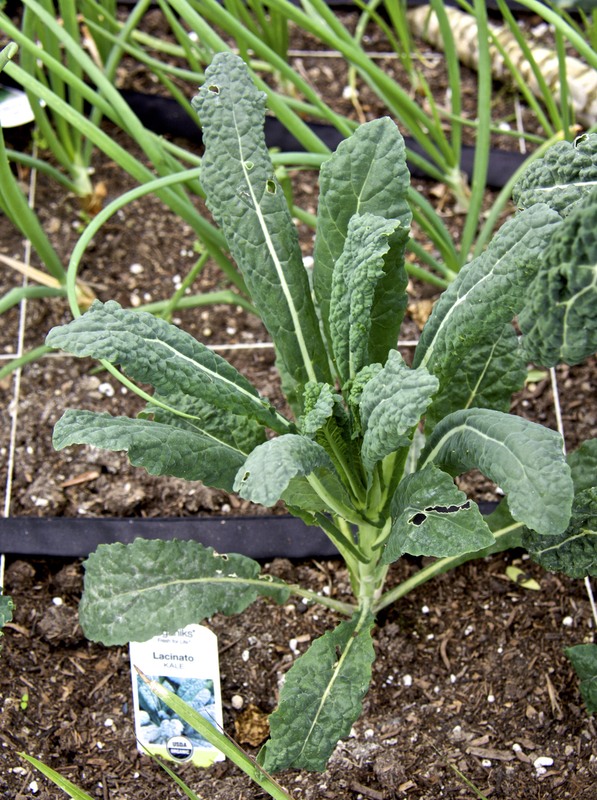 Lacinato kale, aka Tuscany kale, aka dinosaur kale, aka black kale. 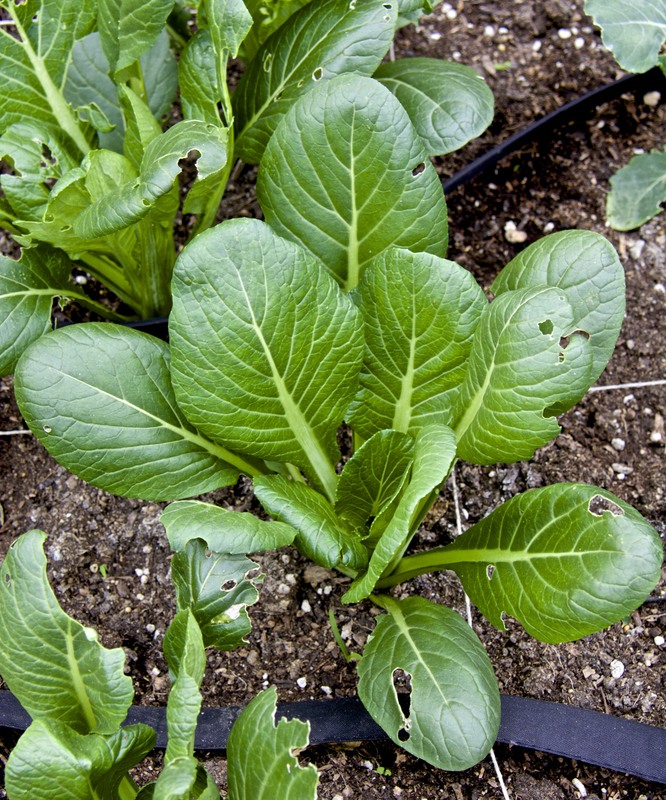 This Komatsuna (Japanese mustard greens) looks ready to go into a stir fry. I harvest only the outer leaves to extend the harvest in my tiny garden. 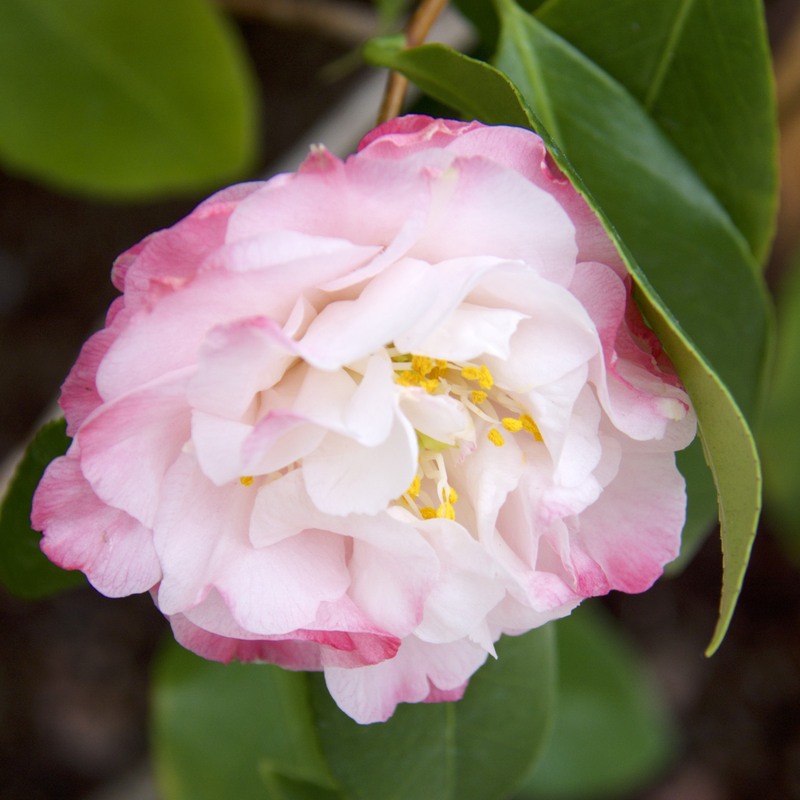 I have three camellia plants. One is still in bloom, but the others are finished already. 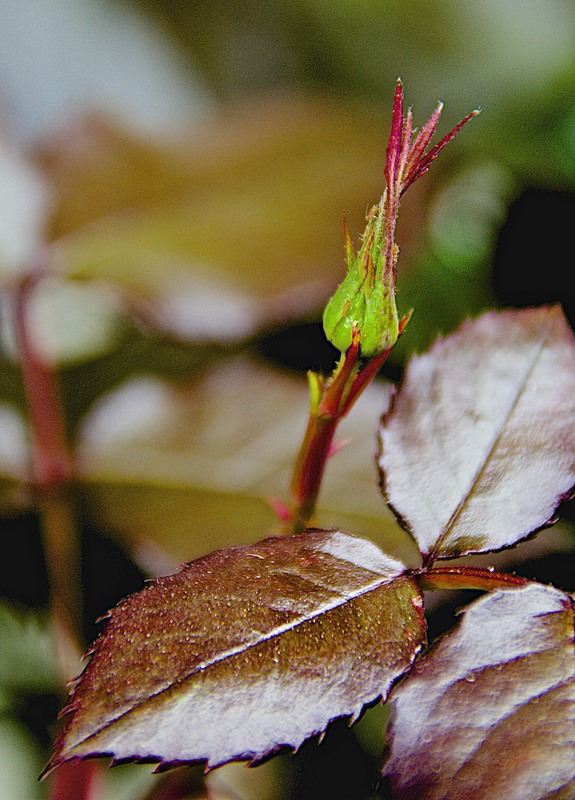 Rosebuds have appeared, but they are a long way from opening. Look at that, no aphids in February. The row of jade plants has nearly finished blooming. 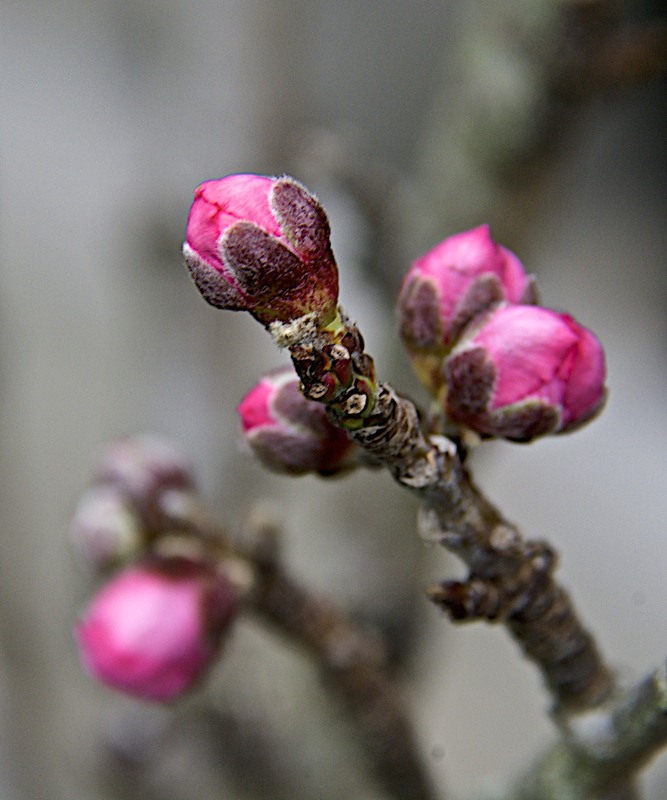 The Pink Lady bushes have just begun to bloom. 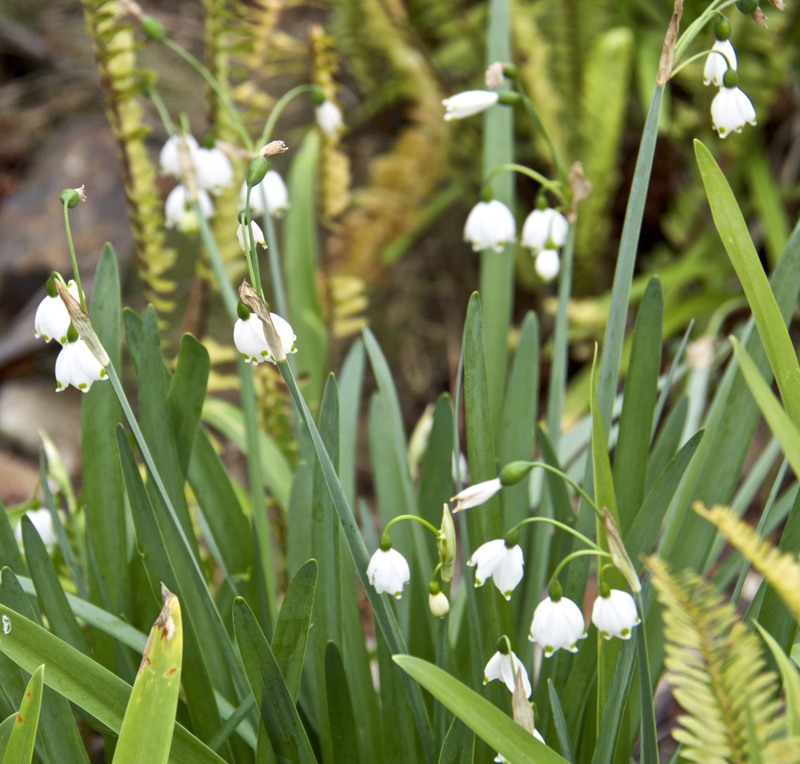 Snowdrops in bloom are a sure sign of spring in our front yard. I just love this row of red and white cyclamen. But I still haven’t planted them. They are still in pots. So many plants, so little time. 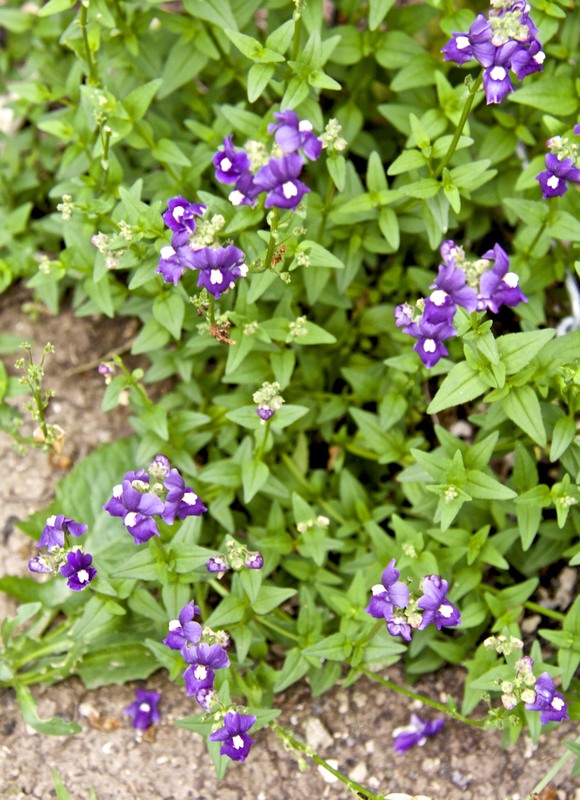 Nemesia (sun drops) bloom all year long in our yard, as does Allysum. I didn’t post-process this photo of Allysum and it is a bit dark. Sorry. 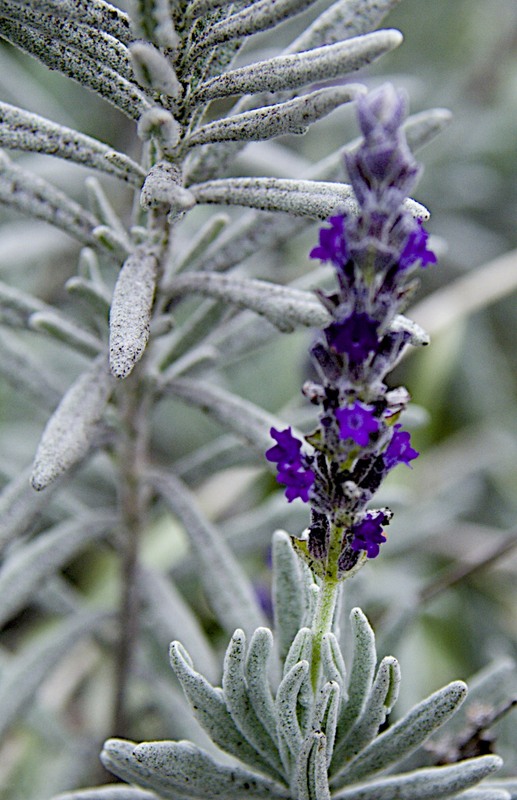 Lavender is another year round bloomer. 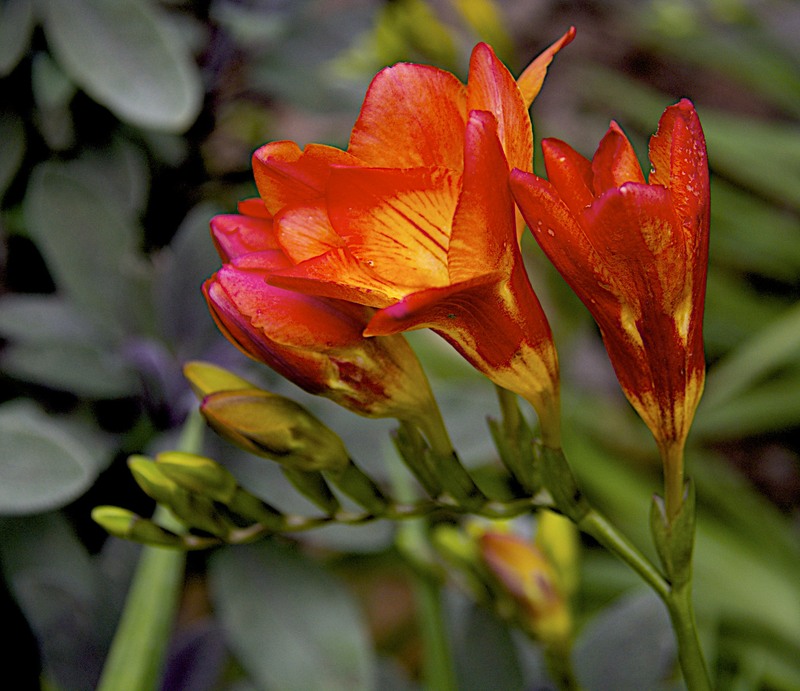 These Fortnight Lillies bloom every two weeks. 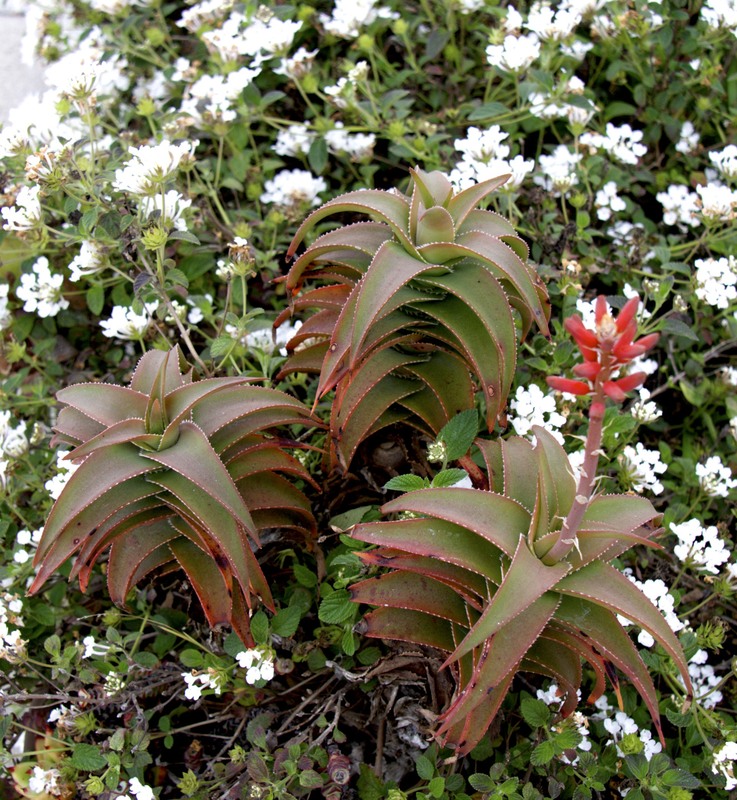 Wonderful plants, and quite drought tolerant. I have other things in bloom and more growing in the veggie gardens, but this is more than enough. Keep in mind that although California is suffering from a major drought, and that the average household water consumption per person is 150 gallons/day, we use only 50-60 gallons/day per person. 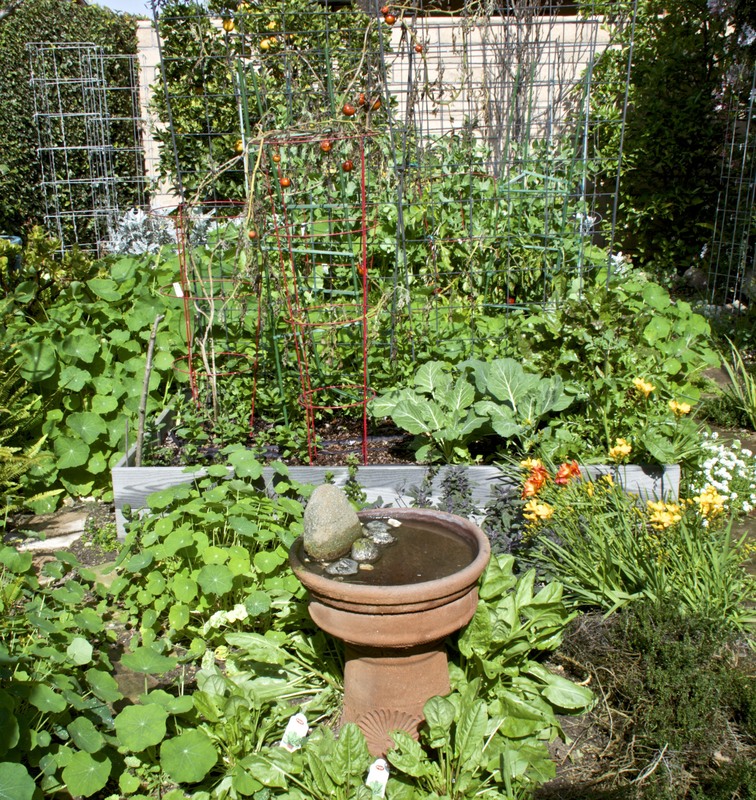 I (1) use soaker hoses for my vegetable garden, (2) use rain water collected in rain barrels, (3) group plantings by water requirements, (4) have low-flow toilets, and (5) don’t let the water run indoors or out. We have all of these fruits, vegetables and flowers, yet we use one third of the amount of water that the average person uses in California. 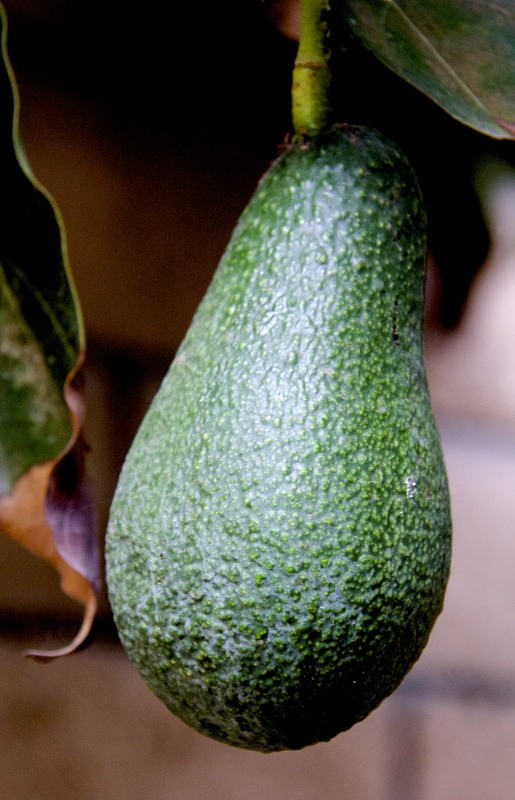 This entry was posted in Uncategorized and tagged avocados, California, drought tolerant, flowers, Fruit, garden, gardening in containers, JPEG files, Komatsuna, lettuce, Nikon D7100, organic, photography, photos, raised beds, RAW files, southern California, succulents, vegetable garden, vegetables, water conservation. Bookmark the permalink. How beautiful! I’m so jealous, sitting here in my world of winter’s drab gray. I keep telling myself “soon”. WOW! I’m impressed. 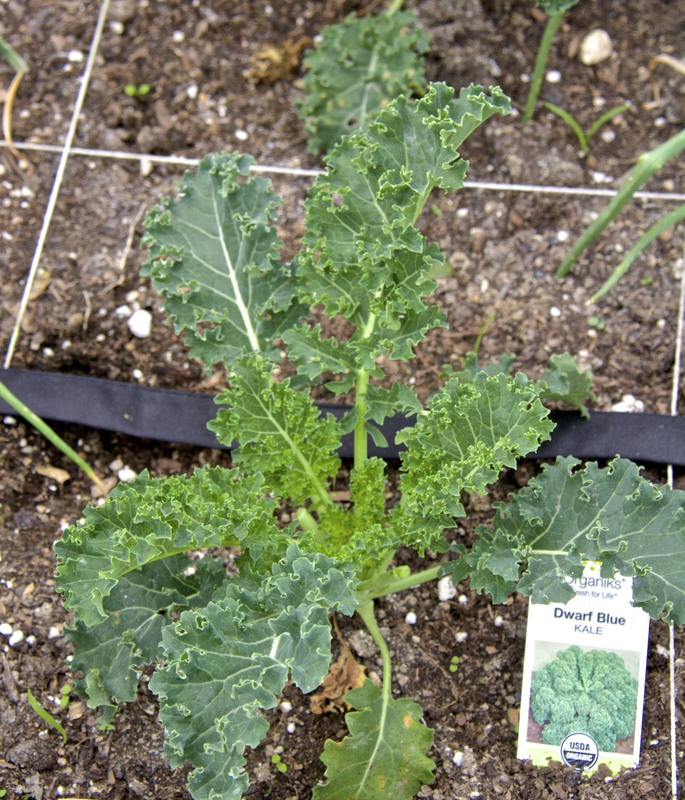 I’m still learning and my vegetables look nothing like yours– hoping for a greener thumb in the spring/summer season. I’m in North Huntington Beach, so it’s great to know that a beautiful garden is achievable, I just need to figure out what I’m doing wrong. Thanks for posting, very inspiring! Hi Kristen, thanks for stopping by. Sorry it has taken me so long to respond. If you google on Southern California vegetable planting guide, you should find a month-by-month planting guide for our area. You might add “coastal” to the search. There are things that you can plant all year long. Unfortunately, you can’t always trust the local nurseries to stock transplants that are seasonally appropriate, like they will still try to sell you tomato transplants in September (don’t bother) or cherry trees (it isn’t cold enough here for cherries), but in general they usually have appropriate plants. Also, do you plant any vegetables around this time or will you wait until further into spring? And what types of vegetables do you plan for this year? Thank you! I planted peas, radishes and lettuce in February. My little granddaughter planted more peas for me a couple of weeks ago. It is getting late for cool season vegetables, but carrots and beets can go in now, ditto lettuce. 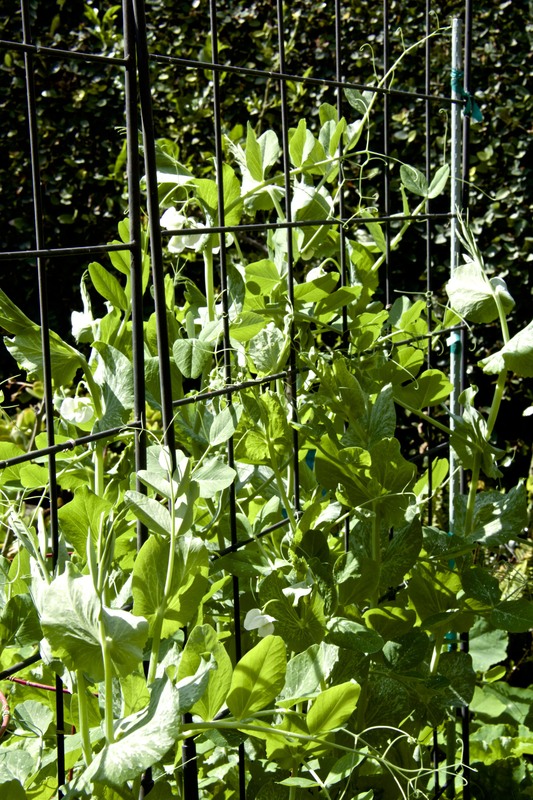 In another couple of weeks, it will be time for summer vegetables like tomatoes and peppers. Wow, I’m jealous of your salads, fruits, and flowers! 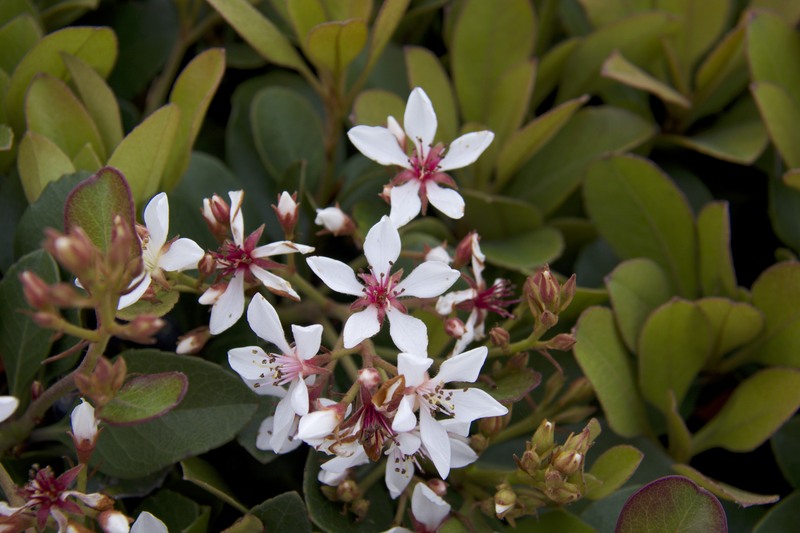 Hi Mac, yes living in southern California offers year-round gardening. My yard has some nice fruit trees in it now, over 20, mostly dwarf or semi-dwarf. 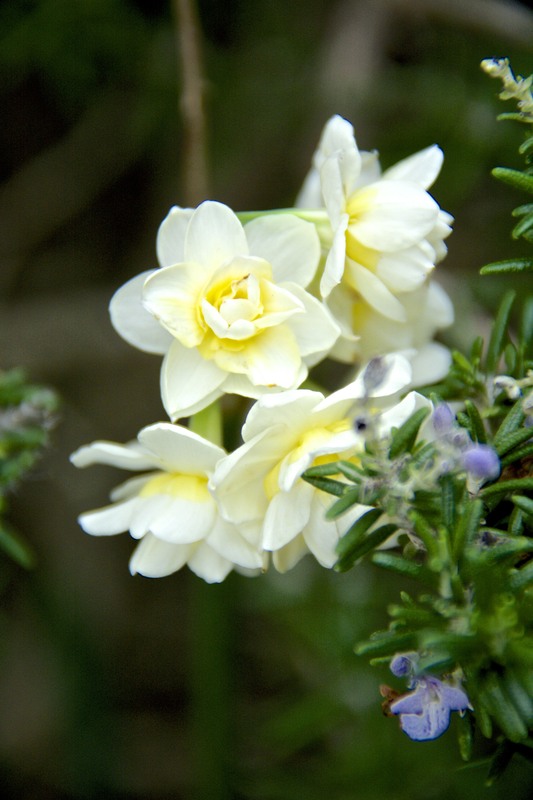 January-April is spring here, and the garden is at its peak, despite the drought. Our rainy season is almost over and I will be out of stored rain barrel water soon. The climate has gone crazy on us.